Mother has shared several tips about neem with you. Father often told you about the neem’s benefit for teeth. However, the neighborhood also advised to use neem as face pack. But do you know what it is that everyone recommends neem to apply and eat. Today we will tell you about the properties of neem why it is so effective. Neem water (boiled water adding neem leaves) contains several anti-inflammatory ingredients. It helps you to increase-decrease the temperature on the skin. Arthritis, hepatitis, Alzheimer, asthma etc are comes in inflammatory diseases. Neem water has good amount of anti-oxidant. It removes all disease occurring in the mouth by doing gargling or drinking. It also keeps digestion system good. It removes all the toxins out of the body. Abdominal gas, ulcers, other stomach problems TB and urine infection also removes by chewing its leaves. 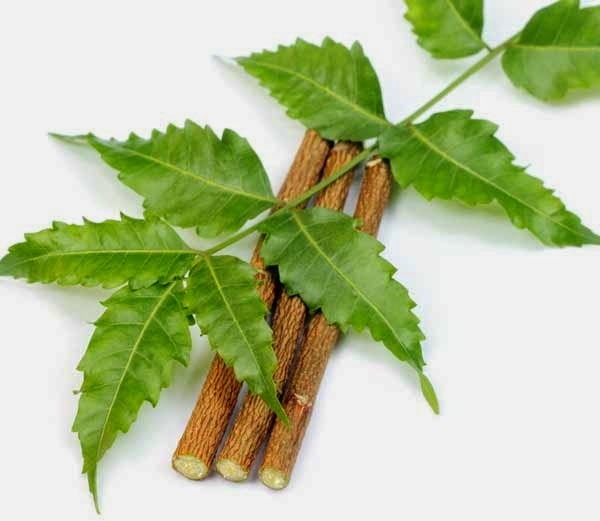 Neem is full of anti-bacterial substances. Because of these elements it keeps away skin aging. It removes the drought acne from the mouth. So it should add in milk or honey or face pack. Nutrients in neem keep skin clear and toxin free. It always keeps skin clear, pimple and wrinkle free. The skin looks beautiful and fresh. It also keeps away the toxin and germs which are responsible for skin aging. Neem is the remedy for all the face problems. It is the panacea for black spots and black heads. Black spots can be easily removed by using it face wash.
Neem leaves are anti-biotic, anti-bacterial and anti-allergic. For this reason, it also removed head and hair problems. You can add dried leaves of neem adding in Amla, soapwort, Shikakai. Your hair becomes black and dandruff free.